Friday was a day of contrasts. After seeing David Horvitz’s “Let Us Keep Our Own Noon” at the Kitchen last week, we went to Christian Marclay’s “The Clock” at high noon. In the film, everything speeds at the start of each hour, and even more so at noon. 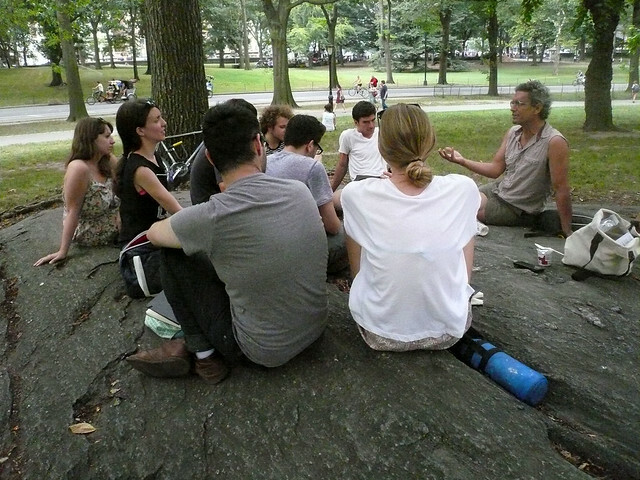 We slowed down after noon, with a picnic in Central Park with Andy Bichlbaum of The Yes Men. We spent a couple of hours in Central Park talking about how he became a media activist, discussed the planning of Yes Men actions, and the transition to the Yes Labs. Andy insisted that he was not an artist, and only ‘pretends’ to be one for funding, but was mischievously gleeful that The Yes Men appears on the final page of a recent Contemporary Art textbook. 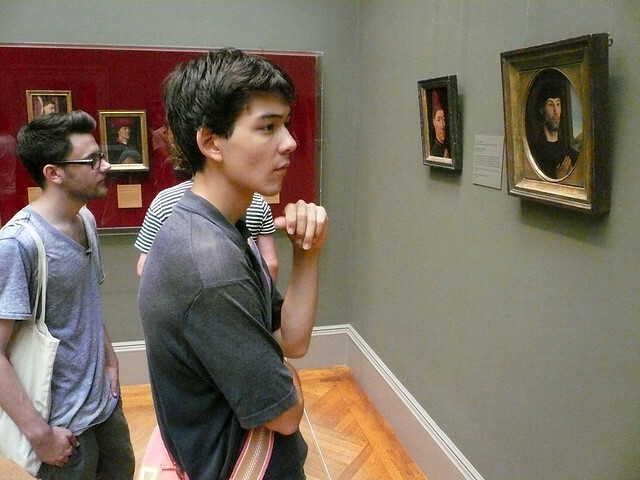 Afterwards, we went to the Metropolitan Museum to look at Renaissance painting, and had a conversation about how these objects from a different time and place relate to contemporary art.